ooVoo is a VoIP client which makes it easier to communicate no matter where you are. You'll be able to interact with your address book contacts by means of instant messaging or video chat, without forgetting voice calls, the main idea behind programs like ooVoo or Skype. Nevertheless, ooVoo offers some unique features which you won't find in the rest of VoIP clients. The program is totally free and it uses an appealing interface which you will surely like. VoIP client. Take part in voice calls, send SMS messages, establish video chats or take part in instant messaging chats. 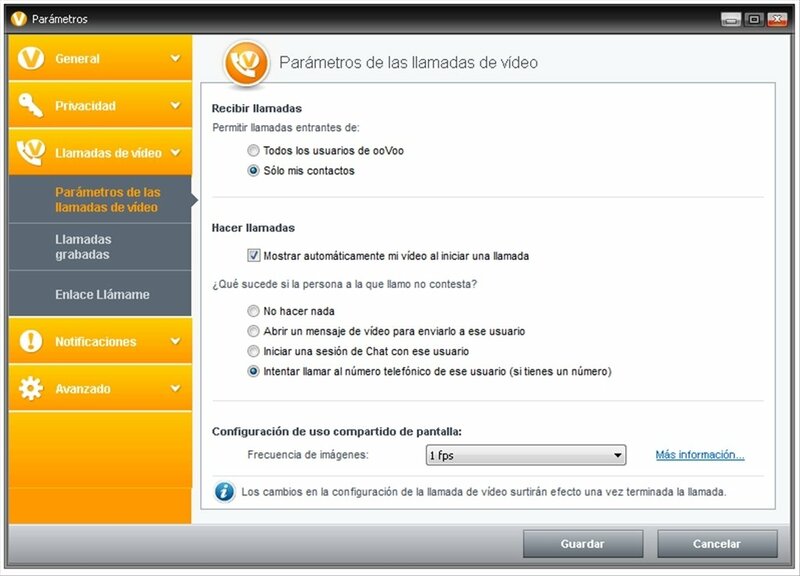 Interact with up to 11 different users in the same conversation or video chat. 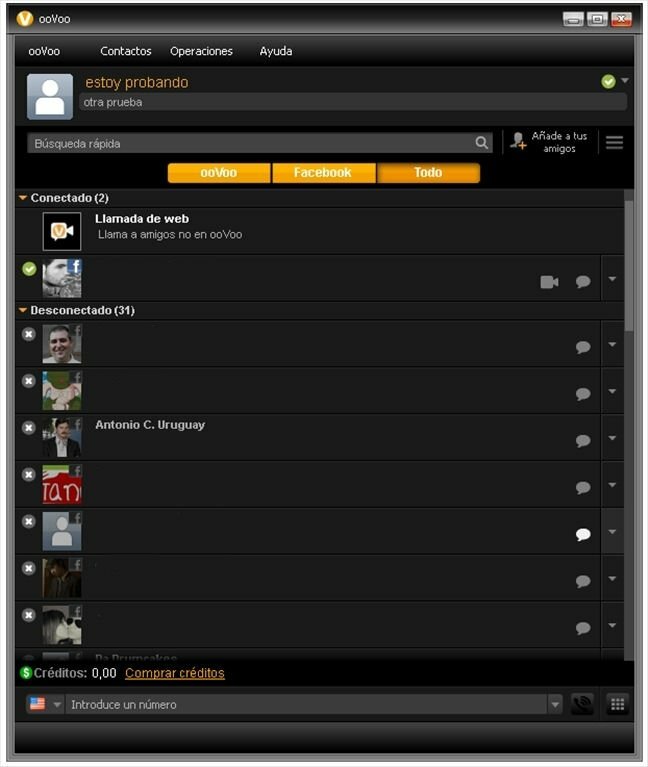 Integrates a call button using ooVoo to any website. Tool to share your desktop. 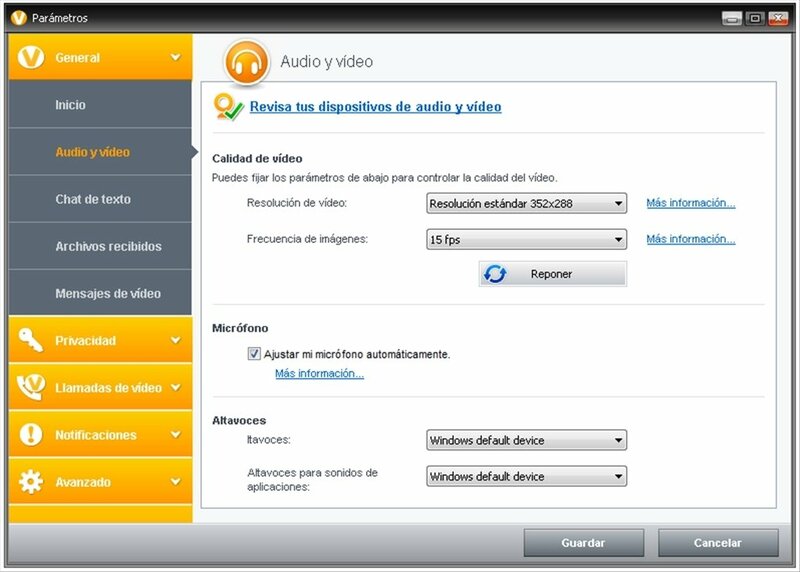 Record your video chats in AVI or FLV format. Record and send video messages for up to 5 minutes. ooVoo offers free services, a well as other pay-to-use services. In any case, if you aren't willing to pay anything, you'll be able to keep on enjoying many features, more than enough to make the most of the application. 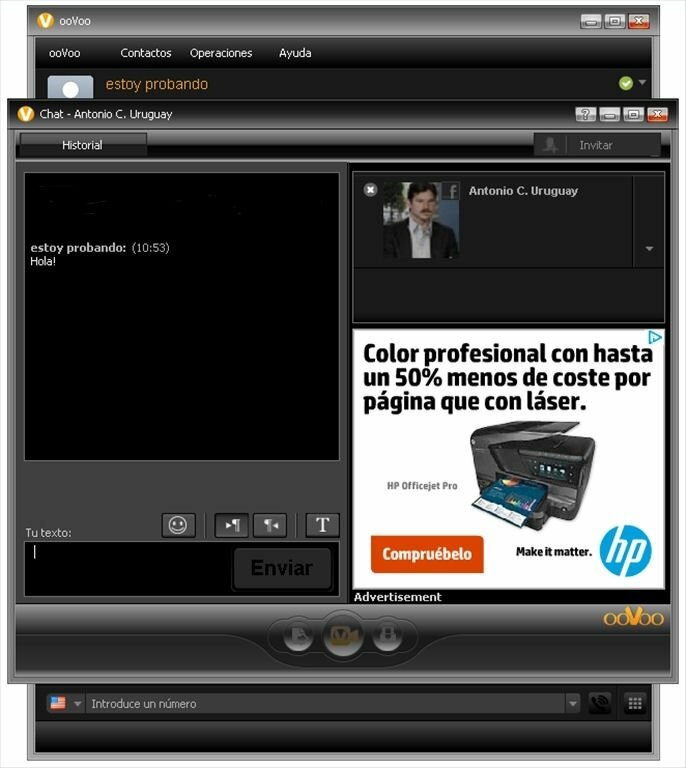 Discover ooVoo and enjoy the enormous communication possibilities which it offers. Download ooVoo for free and have the people that you love nearer than ever. This download is an installer that requires an active Internet connection to finish the installation.